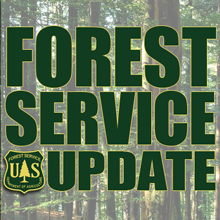 The vehicle auction process for the Lassen, Modoc, and Plumas National Forests has changed according to information released today by Lassen National Forest Realty Specialist Nancy Barrera. The agency will now be using a company called GTB Auctions to process the sale of most light fleet vehicles to the public. The change, according to Barrera, is a result of declining budgets and staffing. From this point forward auction locations will be in Sacramento and San Diego. Interested bidders must go to the GTB Auctions website at www.gtbauctions.com and complete the ‘Bidders Package’ found on the site. For auction information, contact Angela at GTB Auctions at (413) 734-9241. Heavy equipment, trailers, and some vehicles will still be auctioned off using General Services Administration by way of an online auction through the GSA website www.gsaauctions.com. For additional internet auction vehicle and equipment information, go to the GSA website.